Based on the poetry of Rafael Barreto-Rivera, Paul Dutton, Steve McCaffery, and bpNichol. The Four Horsemen Project is a multi-disciplinary extravaganza conceived and co-directed by Toronto’s dance-theatre dynamic duo, Ross Manson and Kate Alton, in collaboration with Vancouver animation studio Global Mechanic. 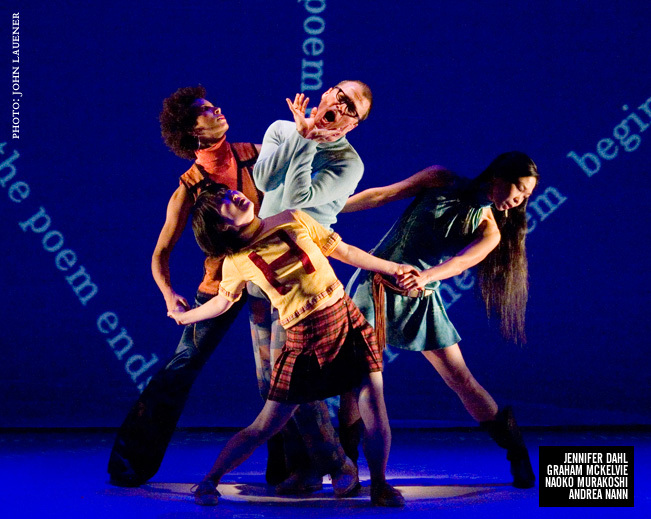 Live, on-stage, swirling animation and sonic hi-jinx make the poetry of Canada’s 1970s avant-garde scene leap off the page and onto the stage.